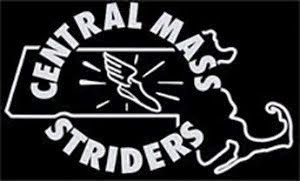 The Central Mass Striders men’s racing team had a solid weekend competing in two races in the Granite State: Mount Washington Road Race (June 16) and Ribfest 5 mile (June 17) – USATF New England Road Race Championship. Seniors Dave Dunham, Erik Vandendries, and David Lapierre ran both races while having an impact in the team scoring. A clear day at the Mount Washington Summit (6,288 ft) awaited runners for the 7.6 mile trek up the auto road from Pinkham Notch. With 14 men racing, CMS won the men’s open, masters, and senior team competition. The CMS Veterans team finished 7th. 11 out of the 14 men placed in the top within their respective age group. Patrick Rich led the CMS open team with a 9th place overall finish with a time of 1:12:29. 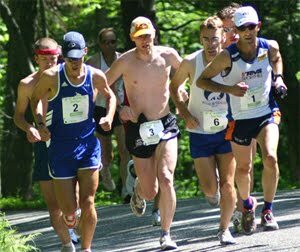 Dave Dunham and Todd Callaghan would finish five seconds apart, placing 11th and 12 respectively. Erik Vandendries ran his 3rd fastest time on the mountain with an 18th place finish. Matthew Veiga would round out the open team scoring, placing 30th overall. Patrick and Todd would win their age groups outright. Francis Burdett would score down for the masters team as the 5th runner for CMS. The masters team was within 22 seconds of the open CMS team. The Senior team had David Lapierre and Ed Sheldon scoring as the 4th and 5th runners for the team. 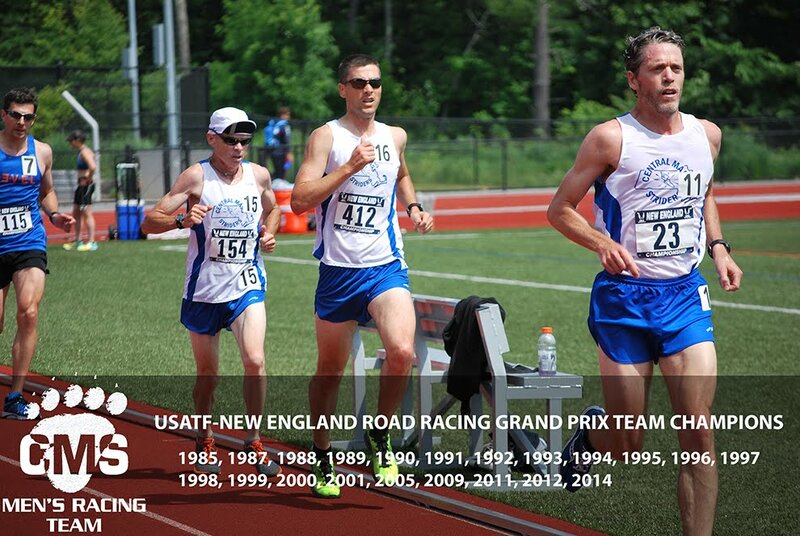 Stephen Reed, John Martin, and Walter Kuklinkski would combine to pace the Veterans team to 7th place. CMS men highlighted below. 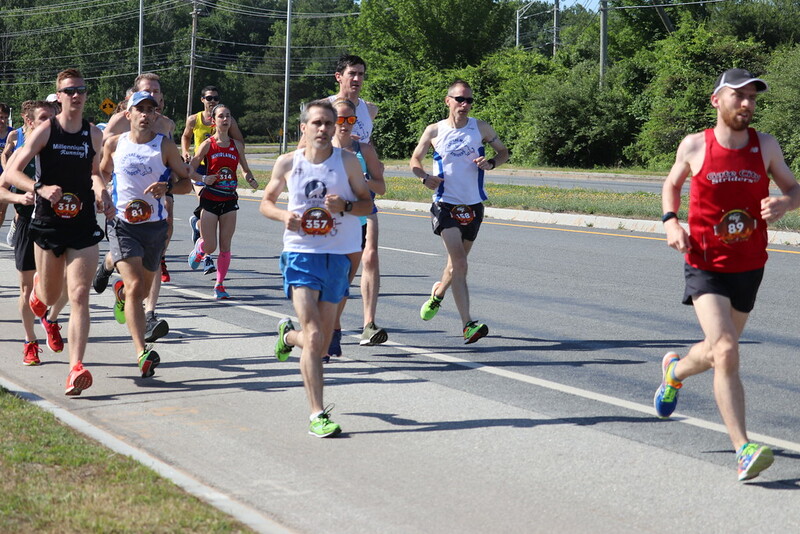 Sunday had CMS competing in the Ribfest 5 mile in Merrimack, New Hampshire. 21 men represented. The men’s open team placed 3rd overall behind the scoring team of Scott Mindel (7th overall), Scott Leslie (12th overall), Pat Fullerton (15th), Gregory Putnam (2nd 40-49), and Alan Bernier (6th 40-49). The men’s masters team placed first. 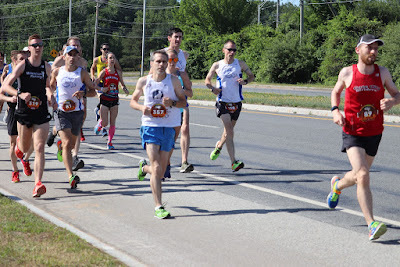 Behind Greg and Alan were Arthur Besse (28:13) who ran his Personal Best for 5 miles, Joe Shairs (5th 50-59) running his first Grand Prix as a Senior, and Joshua Perks who rounded out the top five for the masters team who outpaced HFC by 63 seconds. The CMS Senior team placed 1st edging the Greater Springfield Harriers by over 90 seconds. Joe Shairs paced the Seniors with his Grand Prix debut in the new age group. David Principe finished right behind Joe. The next three Seniors, fresh of the Mount Washington Road Race the day before: Dave Dunham, Erik Vandendries, and David Lapierre capped the top five. CMS men listed below.